The electronic health records (EHRs) sector is already making headlines in 2018. 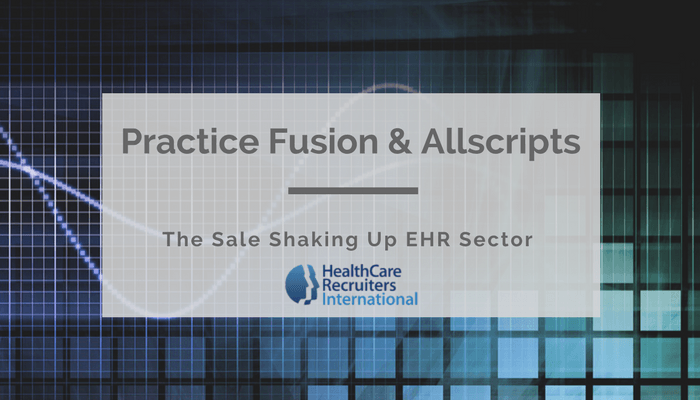 On January 8, 2018, Allscripts, a global leader in healthcare technology, announced a definitive agreement to acquire Practice Fusion, a leading cloud-based electronic health record (EHR) platform, for $100 million, subject to adjustment for working capital and net debt. Practice Fusion offers an affordable certified cloud-based EHR for traditionally hard-to-reach small, independent physician practices and was founded in 2005. Based in San Francisco, it supports 30,000 ambulatory practices and 5 million patient visits a month. In combination with Allscripts’ existing payer and life sciences business, Allscripts expects to expand its big data insights and analytics, data sharing technologies, and clinical trial solutions to enable life sciences organizations to accelerate bringing life-changing therapies to market. For Allscripts, the purchase is a continuation of their move towards the electronic medical records industry. The company also paid $185 million for the electronic health records business of McKesson, a company rival. As mentioned above, Practice Fusion stock was at one point worth $1.5 billion, according to the CNBC article. Now, employees and investors who were banking on the massive sale, are feeling left out. Afterall, they got nothing—while several executives are slated to get millions. On January 18, a survey from Reaction Data, a full service research platform designed specifically for the healthcare market, highlighted that Practice Fusion has received the highest physician satisfaction rating amongst other industry-leading EHRs. The survey sought to better understand physician sentiment toward EHRs and to identify qualities that can help clinicians choose a platform that best suits their needs. Of the 889 vendors surveyed, Practice Fusion received the highest overall satisfaction rating, with 70 percent of participants advocating for the company’s EHR—providing a rating score of seven or higher. The lesson? It pays to be an early adopter of technology in the healthcare field—and failure to adopt can have costly consequences. As the year goes on, it will be interesting to see what else develops within the ever-evolving world of electronic health records. Need a new hire for your team or organization, we’re the healthcare industry’s first choice for top talent.